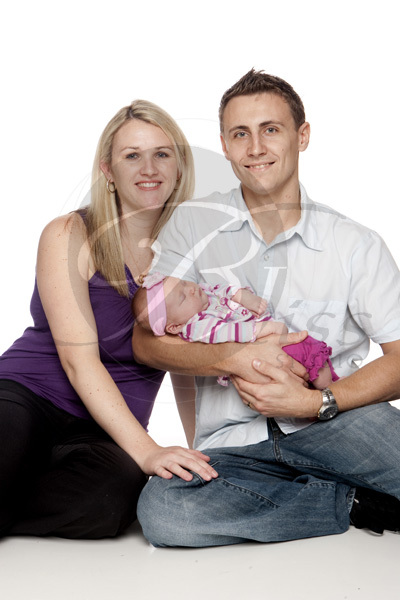 It was wonderful to see our former wedding clients back with their beautiful new born baby girl, Annalise. It was wonderful to see our former wedding clients back with their beautiful new born baby girl, Annalise. Three years ago Kristy was a stunning bride and today she just glows as a new mother. You can see Steve is also a proud Dad who wants to be very hands-on. There is nothing more beautiful to photograph than a sleeping baby and Annalise was so comfortable in front of the camera she was happy to sleep much of the photo shoot. It is nice to know she was so relaxed with us.